Choosing a recumbent bike is not as easy as it seems. There are plenty of options out there. Most people never have the time to research all of them, so they naturally assume that they work on the same principles. Therefore, any model would do. Wrong! 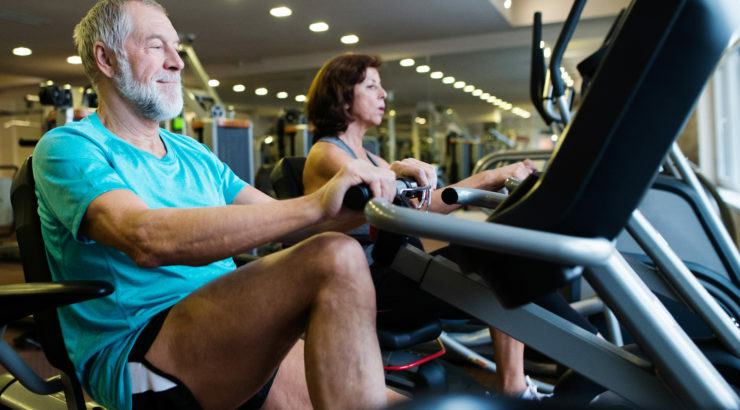 Whether you do have some experience or you’re a beginner, chances are you’ll need to find the best recumbent bike for your needs. If you’re new, starting with a low profile one can make this whole experience completely unattractive, so you’ll get rid of it in no time. On the other hand, if you’re not new to recumbent bikes, you want to boost your experience even further. Anyhow, the conclusion is the same – do your homework and find a good, reliable unit. Diamondback doesn’t produce road and mountain bikes only, but also recumbent bikes – even better! After all, given the popularity of its road bikes, it’s easy to tell that its engineers do know what they’re doing. Diamondback 510SR Fitness Recumbent Bike is one of its flagships and it’s no surprise why. It has 20 different workout programs. If you’re new to fitness, this bike is perfect because it might take some time until you create your own workouts. They also target the heart rate for an optimal experience. In order to achieve such versatility, it comes with 16 levels of resistance. In terms of comfort, the seat base and back are slightly curved to match the body shape. You can exercise for hours without feeling any discomfort. The armrest is adjustable, as well as the console. It comes with a proper LCD display and offers feedback in real time. It has a scrolling message center with updates on your workouts, as well as QuickSet program keys. The speaker system is integrated and supports MP3 connectivity, so you can play your favorite music while you exercise. If you’re more into reading something, there’s a foldout magazine rack as well. Feeling hot? No problem! The cooling fan comes into play when you start sweating, while the cup holder is ideal for your water. When browsing around to find the best recumbent exercise bike, chances are you’ll inevitably run into Schwinn 270 Recumbent Bike (MY17) as well. With a proven reputation in designing multiple types of bikes (including road and mountain bikes), Schwinn surely knows what performance means. This model has 29 workout programs, including programs for heart rate control or fitness tests. If you’re not up for anything special but you just want to burn some calories, use the quick start setting. With time, you can customize up to four different programs. In order to support such versatility, Schwinn’s recumbent bike has 25 levels of resistance. The seat bottom is cushioned and has a contoured leg area for extra comfort. The seat back is vented and provides lumbar support. After all, long workouts can cause back pains without proper support. As for adjustability, the seat glides over the aluminum rail to accommodate people of different sizes. When it comes to gadgets and futuristic features, you have Bluetooth connectivity for fitness tracking. It’s excellent with a series of applications. It’s also free to sync with the RideSocial app, which can easily keep you busy as you exercise. Furthermore, you have an LCD display, MP3 connectivity, USB media charging and an adjustable fan. Bladez Fitness Master GS Indoor Cycle Trainer is one of those recumbent bikes that stick to the basics. The manufacturer hasn’t enriched it with all kinds of bells and whistles that no one uses. Instead, it has focused on what really matters – a solid construction that can deliver intense workouts. There are numerous recumbent bike reviews regarding how simple, yet efficient this bike is, so there must be something good about it. It comes with a 45 pound flywheel. As you start pedaling, it feels natural. It’s smooth and consistent. The frame is made of steel. It’s slightly oversized, so it can take heavy users as well – up to 300 pounds. Besides, the heavier it is, the more stable it becomes, especially during energetic workouts. Despite the heavy flywheel, this fitness machine is not loud at all. It has a quiet belt drive system, so it makes no difference if you exercise in the middle of the night – you simply won’t disturb your family. On another note, it’s highly customizable, so everyone in your family can use it. You can adjust the seat up, down, front and back. The same goes for the handlebars. In terms of performance, it’s fitted with club style brakes. You have adjustable top down resistance, as well as an emergency stop. Stamina has a self-explanatory name. 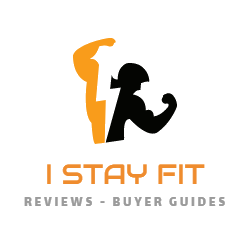 The manufacturer is responsible for producing some of the best rated fitness machines over the Internet. Widely rated online, Stamina Elite Total Body Recumbent Exercise Bike is certainly one of its flagships. At a first glance, this recumbent bike looks basic. It doesn’t have the futuristic frame design, lights, curves and corners you’ll find in other bikes. That’s because you don’t buy a fitness machine to look good in your living room, but to actually improve your fitness condition. When assembled, the bike weighs 117 pounds – a bit lighter than other units in this segment. It has both lower foot pedals and upper hand pedals for a more complete workout – not just your legs. Pedals are textured and have straps to prevent accidents. The seat is padded and comfortable, so you can engage in long workouts with no stress. Both the seat and the back are slightly curved to match the human body. It’s adjustable based on how long your legs are. When it comes to performance, you can easily track it on the electronic display. You can track calories, distance, time, speed and heart rate. It has a few pulse sensors that send data to the monitor for accurate results. Despite relying on magnetic resistance for a top performance, this recumbent bike is extremely quiet. When looking for recumbent exercise bike reviews, it’s impossible to overlook Schwinn’s products. The reputable manufacturer sure knows how to make its customers feel good. Schwinn 230 Recumbent Bike is one of its best selling recumbent bikes and for some good reasons. It has two levelers and a center frame support to allow more energetic workouts. Just like other similar units, it comes with transport wheels for an easy transportation. Most recumbent bikes have wheels, but they’re usually heavy. This is one of the lightest in this segment – less than 82 pounds. It has a vented seat with a contoured leg area, as well as a vented back with lumbar support. Adjusting it is a breeze. In terms of performance, you can count on 20 levels of resistance. Workouts are quiet and smooth, so you can exercise whenever you feel like. The console is quite detailed and might feel overwhelming at first. You have two LCD windows and can monitor not less than 13 different feedbacks. A useful feature is the SchwinnConnect goal tracking system, which allows you to keep track of your performance while aiming for a goal. It’s quite motivational to see the results going up. If you’re not sure where to start from, the console offers access to 22 programs. It might take a while until you create your own workouts. Other than that, this recumbent bike has a cooling fan in case you get sweaty, a grip to monitor heart rate, acoustic speakers and USB connectivity.